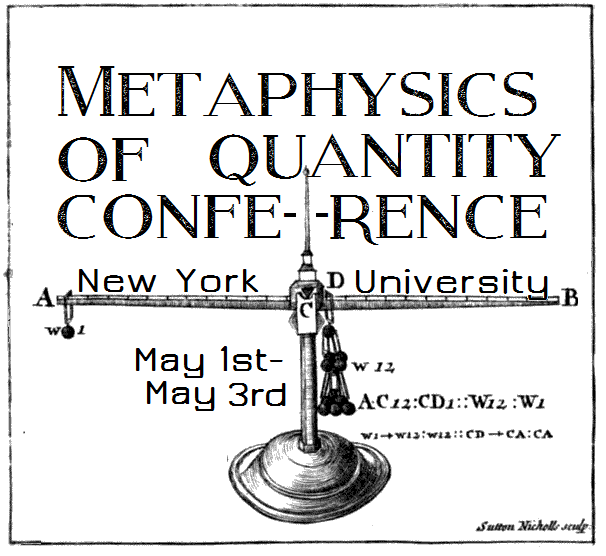 Erica Shumener and I co-organized a three-day conference on the metaphysics of quantity, which was held at NYU on the weekend of May 1st-3rd, 2015. It consisted of a mix of invited talks and anonymously reviewed papers, with a keynote address by Brent Mundy (Syracuse) (!). Reading groups are awesome. In the event that I become involved in some reading group (either by organizing it or merely attending), I'll try to link it here and keep track of what we looked at. Topics in Metaphysics ("TiM") Group - Co-organized with Simona Aimar (Columbia/Barnard) and Zack Al-Witri (Columbia) - Spring 2015 at NYU/Columbia/Barnard.